Spring 2017 Update: riding lessons now available - call to book lessons TODAY! At Ridge Valley Stables we utilize a well-rounded approach to our instruction and offer student riders a true hands-on environment where they will be immersed in the full riding experience including handling, grooming and tack. We have two schooling rings. One is 60'x120' with a natural footing and is illuminated for night time use. The second ring is 100'x200' with a natural footing. Our staff includes instructors licensed by the Commonwealth of Massachusetts that are experienced in training both English and Western disciplines. We are able to serve first time riders as well as provide more advanced instruction. 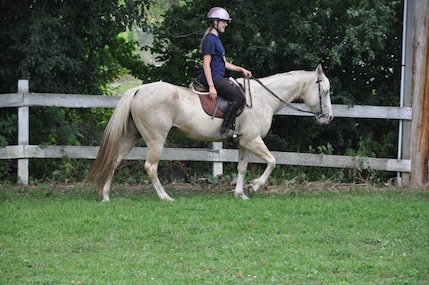 We also offer Balanced Seat training to help with proper rider posture. With an emphasis on skills and safety, there isn't a dress code for lessons. 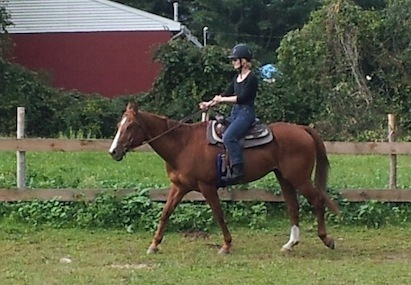 The only requirement is long pants and boots with a heel and small to no tread to make a safe saddle connection. Read the What To Wear page for general clothing tips. Prices are subject to change. Call if you have questions. Gift certificates are available from the office — surprise someone! Copyright ©2014 Ridge Valley Stables All Rights Reserved.